Bottle Gourd is yet another effective vegetable very good for people watching on their weight. 96% of Lauki or Bottle Gourd is plain water and hence it is very low in calorie. 100 gm serving of bottle gourd adds up to only 12 calories. I was a member of a cooking forum in orkut and although I didn't know cooking at that time, I loved to take note of the recipes detailed there. 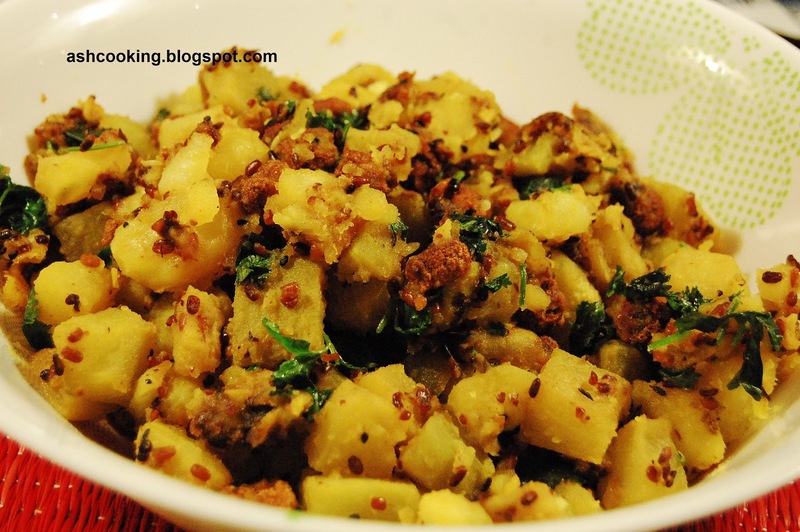 Lau with Moong Dal is one such recipe posted by a member in the forum. This is the first time I tried my hand on it and needless to say, the turnout was scrumptious and healthy as bonus. Oh yes, you may omit the potatoes if you are extra health conscious, but for me and my hubby, potatoes just increase the flavour of this dish manifold. 1) Heat oil in a wok. When oil turns hot, add dal bodis and brown them a bit. Take them off the flame and keep aside. Into the same oil add panchphoron and allow it to crackle. 2) Add moong lentil and fry till golden brown in color. 3) Add potato and shallow fry, stirring occasionally. 4) Toss in the bottle gourd. Add turmeric powder and cook covered till bottle gourd is half tender. 6) Stir the fried bodis into the curry once done. 7) Garnish with coriander leaves. Serve hot with roti or rice. 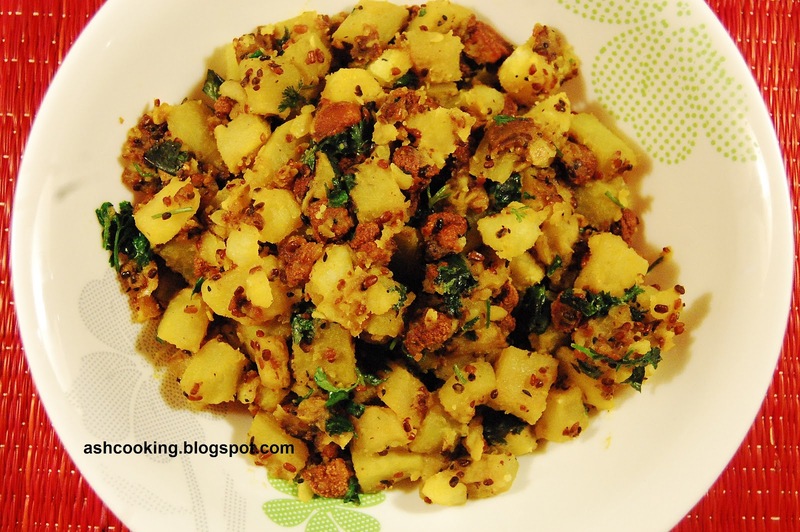 Nice and different recipe of aloo..